The Spica Publishing Forums are Back! 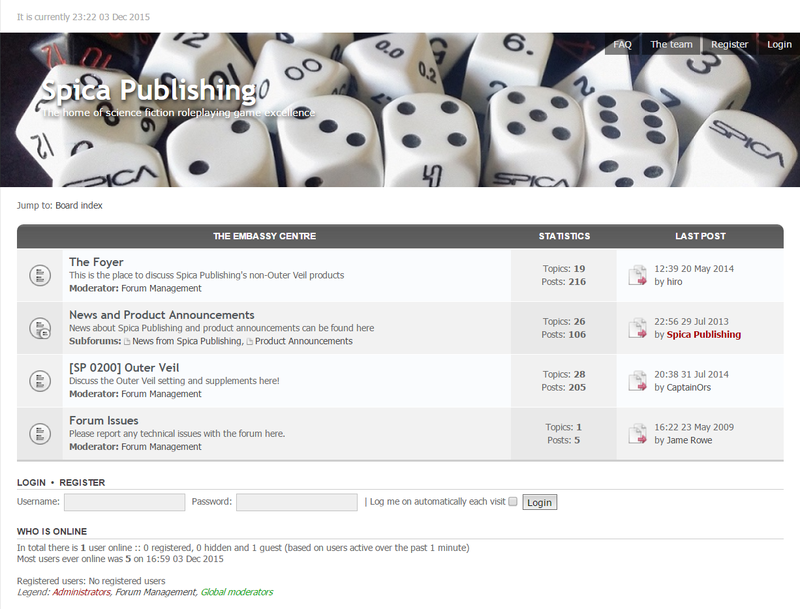 We’re really pleased to announce that, at long last, the Spica Publishing forums are back online! As promised, the forums have a clean, modern white and charcoal grey theme that looks great and is easy to use! All the usual board features are present and we’ll be looking to add some additional functionality in the future. … Read moreThe Spica Publishing Forums are Back!